OK you are going to think I had these for dinner this morning but really it was a late night snack last night. One of my first post was Pancake Doughnuts so I got to thinking tonight when I wanted pancakes but did not want to stand in the kitchen and make them. Normally, I wouldn’t mind but I have a sick Hubby and my oldest, A, is sick too so fast and easy. Pancake Muffins!!! These are filling, yummy, easy, freezable, and low-calorie! Just be careful what you eat your muffins with. If you drowned them in syrup your sugar and calorie intake will soar. 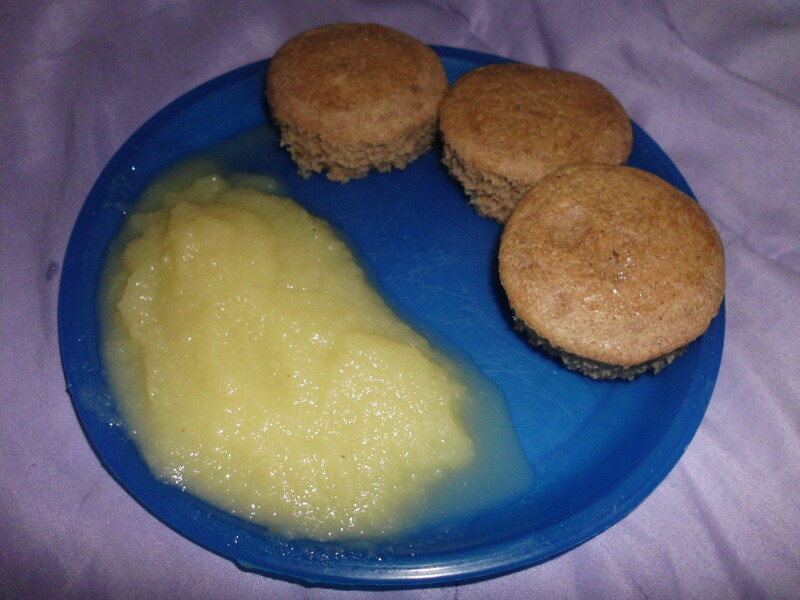 I like to dip them in 1/2 cup of sugar-free applesauce, only 50 calories. Mix all ingredients together till only slightly lumpy. Allow mix to sit a few minutes for best texture. Fill lined muffin cups 1/2 full. Bake on 350 degrees for 20-25 minutes. Muffins are done when you can insert toothpick and remove it clean. Allow to cool a minute and enjoy!! I have to give my husband credit for this post. I am writing it but he inspired it. He came home from work (he works till 10 pm) and it was just not a day i wanted to cook so he was left to fend for himself. He got creative and made us a yummy dinner-Pizza Thins. I call them pizza thins because they start off sandwich thins. In this recipe I will put the brands I used but f course your may vary. 2 ounce of fresh mozzarella cheese, shredded. Take each sandwich round apart and lay all four thins flat on a pan. 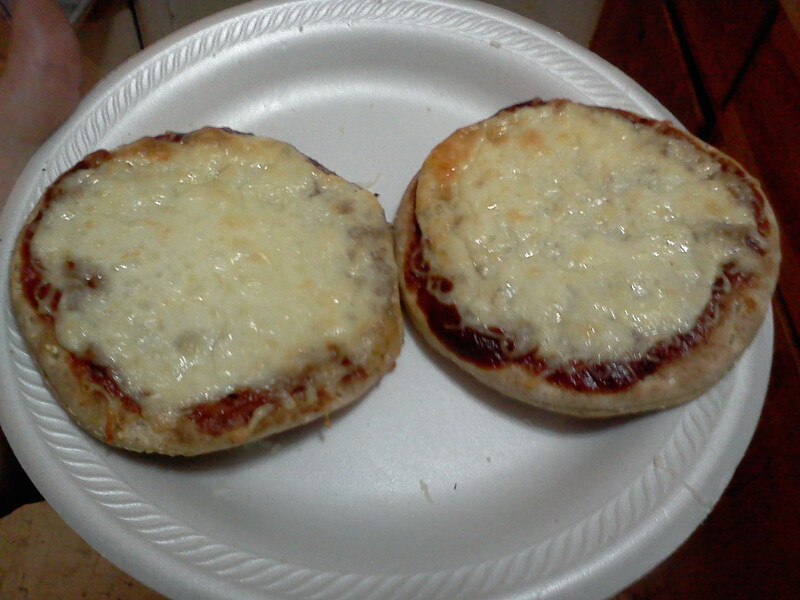 Spread pizza sauce on thins. My husband is very proud of his healthy dinner. I hope you enjoy. Note: These could most likely be made in microwaves, I do not own one so I am not sure. This is also a great snack for teenagers. Popcorn! A Great Healthy Low Calorie Snack! You have probably read the title and thought I was crazy. I use to think of popcorn as junk food and it is if you get at the movie theatre. That being said, if you make it at home it can be a healthy snack. Even though you can buy 100 calorie popcorn bags at the grocery store your best bet it to make it from scratch at home. Skip the oils, butters, and who knows what else they put in those bags. There are two easy and healthy ways I like to make popcorn at home. 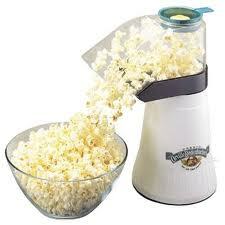 Hot Air Popcorn Popper– These are inexpensive machines that pops the popcorn with just hot air. No oil! It is very easy and quick. Just measure out the kernels, pour into the machine, and watch your snack pop away. microwave Now I know you read that and thought I must be going crazy. Yes, you can make popcorn in the microwave from kernels and not in a bag full of mystery ingredients. Take a plain brown bag, add 1/2 cup of popcorn kernels, fold bag down twice, put in microwave on high for 3 minutes. You can buy a bag of bulk popcorn kernels and a pack 100 brown paper sacks for less than you pay for a case of popcorn bags (which equals about the same amount of popped popcorn). is that homemade popcorn is not anywhere close to a Big Mac; maybe the bun but not the whole thing. Popcorn is very high in fiber. Fiber is essential to help have a healthy digestive tract. Most people do not get nearly enough fiber a day, so why not eat more popcorn instead of take a yucky supplement. Are you getting your whole grains? Popcorn is a whole grain and just incase you have not heard whole grains are healthy for you. Whole grains are have been proven to reduce your risk of heart problems. 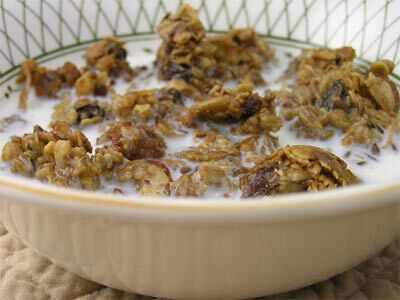 Whole grains are also full of bran and vitamins. Popcorn is also low in calories. 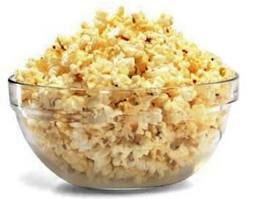 It varies depending on your source but the common thought is 3 cups of popped popcorn is right around 100 calories. When you make it just check the bag. Wondering why they bag as an option for calories of kernels themselves before you pop them? No, they do not want or expect you to eat raw kernels. It is easier for most people to measure out raw kernels then to measure popped popcorn. This is especially true if you try the brown bag recipe above at work. Now you probably want to know how to you can eat your flavorful popcorn without all the oil, butter, and salt. Below are some great recipes (some I have tried and some I have not) you can try. I would love to hear in the comments which ones you try or what you do at home with your popcorn. Most of these mixes can be kept in an air tight container for about 6 months. I like to make a few batches and keep them in the cabinet so I have choices when I make my popcorn. You can also try any of these of by themself: parmesan, garlic, cinnamon, onion powder, chilli powder, just about any powder. Cinnamon Chocolate – Mix 1 packet (4 serving) of dry chocolate pudding mix with 5 teaspoons of cinnamon. Parmesan Ranch- 1/4 cup shredded/grated parmesan and 1 packet of dry ranch dressing mix. Pizza – 1/2 cup parmesan cheese and 2 tbsp of crushed Italian seasonings. Sweet Peanut butter Heat up a small amount of peanut butter and honey till runny and drizzle over popcorn. Taco – Taco seasoning and a pinch of chili powder. Cinnamon Sugar – Mix 1/4 cup of cinnamon and 3 tbsp of sugar. Spicy- Drizzle with a thin hot sauce. Note: Trying these mixes or others is better than using the premade mixes. Just take a look at the ingredients on those bottles and it will scare you. It may not be the prettiest picture but I challenge you to make bbq look pretty. I went to bed last night knowing today would be a lazy day so I wanted to put something in the crock pot. When I went in the kitchen I realized it was 1:30 am and I didn’t want to prepare to much. After a quick glimpse in the kitchen I find a lean pork loin roast. Toss it in the crock pot and add 1 bottle of BBQ sauce and you are set. I cooked the pork on low for about 9 hours while we slept. Once I got up I used 2 forks to shred it and added another bottle of sauce to make sure it would be thick. All that’s left after that is to stir and enjoy. 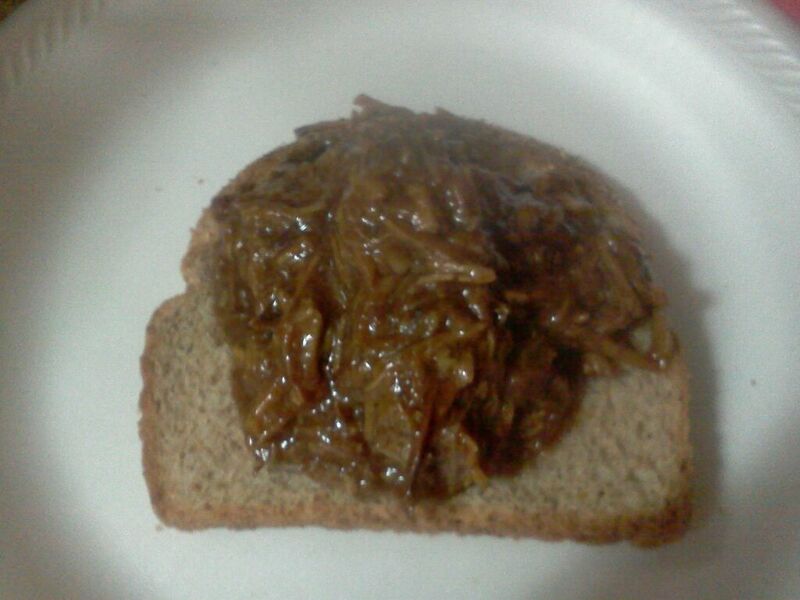 Three ounces of bbq pulled pork is only 175 calories as long as you use lean pork lion roast. My husband ate his on wheat bread but I had mine on 100 calorie sandwich thins. Yummy! We have had this for lunch and may be having it for dinner. 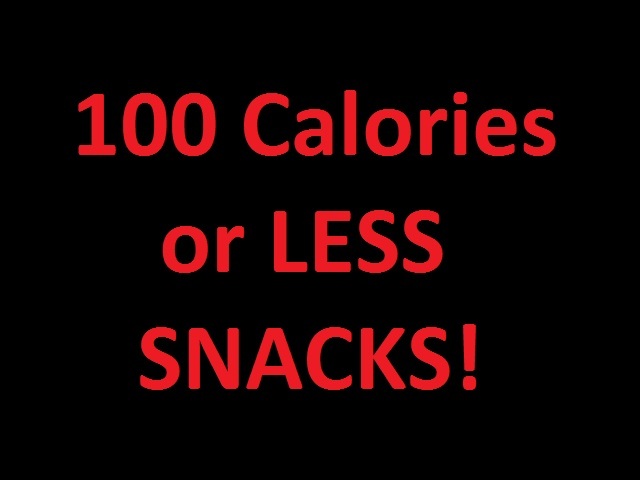 100 Calories or LESS Snacks! I love to snack! Everyone loves to snack! Being a bust moms snacks are sometimes all I get to eat. I keep some in my glove box, diaper bag, and just about everywhere I can. Its better for my diet and pocket-book to grab a snack from the car or diaper bag instead of grabbing the bag of chips while grocery shopping or the corn dog in the mall food court. Below I have listed some 100 calorie snacks (some even have less than 100 calories). Don’t worry I have listed fruits, veggies, healthy, and non healthy. There is something for everyone. So now is the time to invest in some Ziploc baggies or small Tupperware to make your snacks. 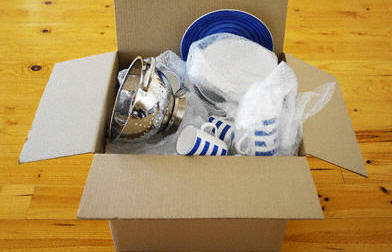 Tip: When you buy a box/bag of something at home put it into portioned out bags and put the bags back in the box. That way when you want a snack you just reach in and grab one.